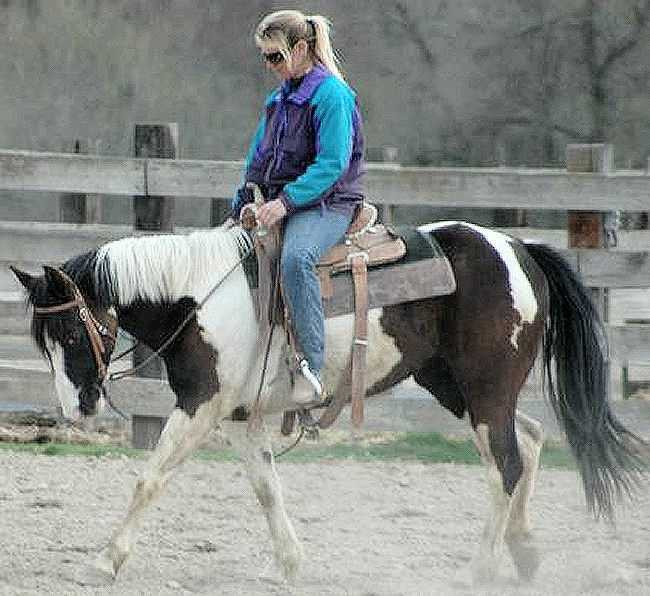 2002 Black/White Filly APHA/Paint. This is a lovely filly with 90 days of professional training on her. She is very gentle under saddle and a nice start on the trails. Easy to love and hug, she is a real delight to be around. Pretzel would also make a great 4H or high school equestrian team prospect.